My husband loves to make his own almond milk. One of these days I am going to catch him on video. So far, he’s been too camera shy for me to make that happen. He loves the fresh and creamy taste. There is nothing he prefers in his coffee and oatmeal bowl in the morning. Me? I’m happy with just about any store bought plant milk. But I won’t argue that his home made almond milk is pretty wonderful. Squeeze mixture through a nut-milk bag or cheesecloth. Enjoy the milk and use the almond meal to make this fabulous Iron Rich Granola or cookies! And I got a tip from my friend Ellen about almond milk. If you are using it for cereal, there really is no need to even strain it. 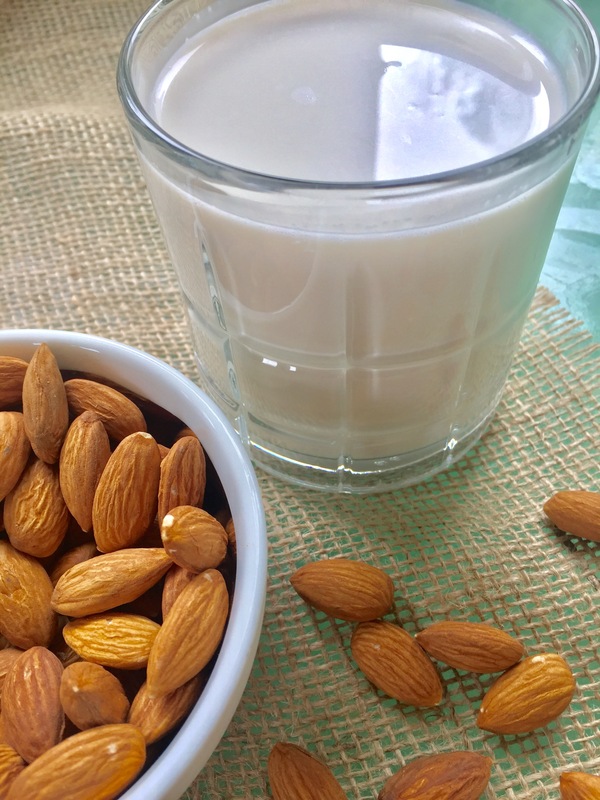 Just blend the almonds with water and enjoy. Yes, the milk will have more texture, but hey, doesn’t cereal have lots of texture anyway? There are all types of fabulous plant-based milks: almond, cashew, soy, hemp, pumpkin seed…the list goes on. Are you a plant-based milk drinker? Let me know in the comments, what’s your favorite kind. I would love to hear from you. Thanks for reading…a plant based diet is great for the planet, the animals and you. In a medium sized bowl, cover the almonds with water and allow to soak for 60 minutes or more. Pour the almonds into a colander and allow them to drain. Rinse the almonds. 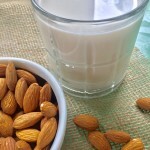 Place the almonds in a blender with 4 cups * of water. Blend until smooth. If adding optional flavorings, pour the almond milk back into the blender. Add the flavorings such as vanilla, date and/or cinnamon. Blend again until smooth. Enjoy! 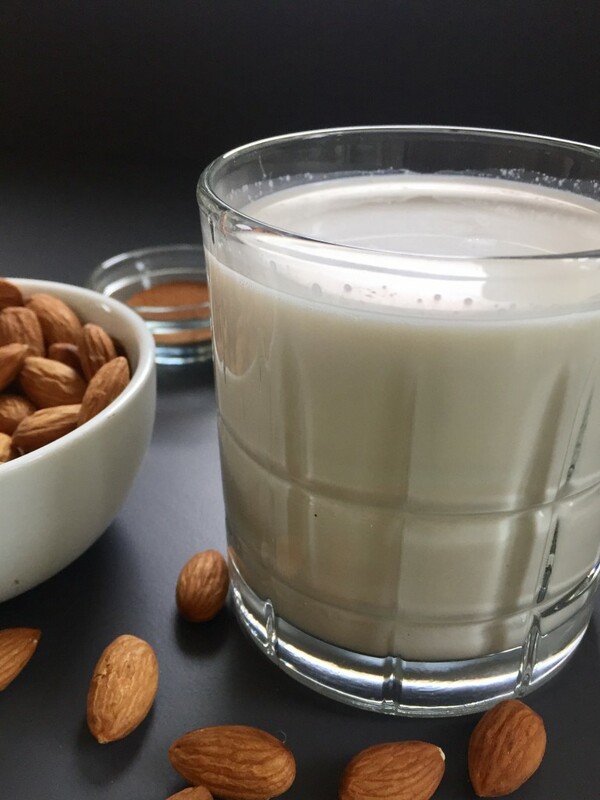 * Use less water to obtain almond milk with a creamier consistency. It is possible to use the almond milk now without straining. This would be better used poured over cereal than as a milk for your coffee or tea. ** The leftover meal can be used to bake cookies, granola or dehydrated to form an almond flour.